Creativity Silver Large Wall Plaque - Available only to Silver level winners. This handsome acrylic wall plaque shows everyone exactly what you won for! Sheet metal indicating level of award - Platinum, Gold or Silver - is inserted between two 8.75" x 16" sheets of clear acrylic. 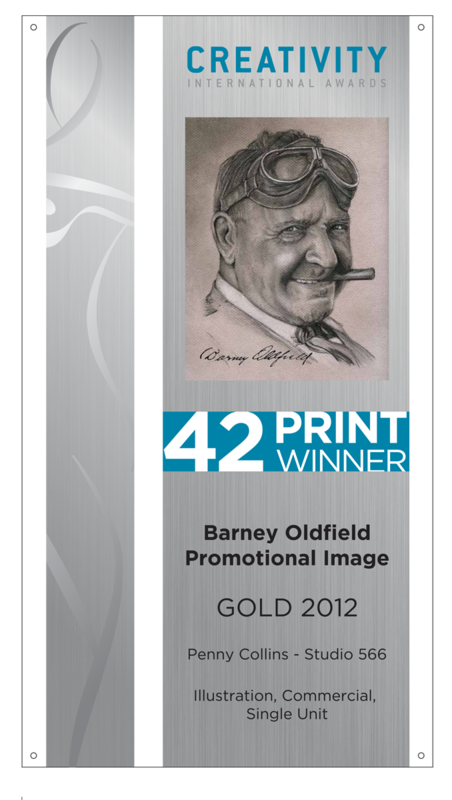 Customized information and image of winning entry is printed onto the metal itself. Only available to Platinum, Gold or Silver winners. Competition cycle - 42 Print, 43 Media, etc. and Creativity logo is standard. You have 4 lines of customized text that can read any way you wish. All awards are individually customized so please allow 6-8 weeks for manufacture and shipping time. Click: "Click here to Select Award or Search Past Awards"